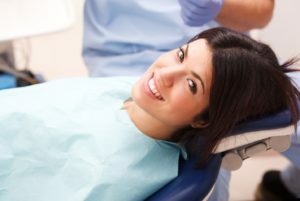 Conservative dentistry has and always will begin with a well-performed, thorough comprehensive examination performed by a qualified dentist in Beaumont, wherein the patient is brought up to speed on the issues of their oral cavity. After that, we devise a patient-centered treatment plan. The plan is based on two major factors: the patient’s oral health issues (with priority on the most pressing problems), and the patient’s personal decisions. After all, one of their options is to do nothing at all. When we discuss conservative treatment, we are not talking about getting out of the office with the least amount done as cheaply as possible. Some request that, and Dr. Long and I accommodate their wishes, but that is usually a patch to an underlying issue, and the patient and their dentist will be dealing with this same issue again in the future. There are many ways to treat a dental issue correctly, and if it’s done well, the results should last many years. Treatments to dental issues are like Goldilocks and the three bears: too hard, too soft, or just right. That “just right” comes from a frank conversation about risks and benefits, pros and cons, and unfortunately, cost. All of this contributes to helping me, Dr. Long, and the rest of our team find the ideal treatment for patients. The above is not a formal definition of conservative dentistry. In fact, no such formal definition exists because every dentist has their own views on dentistry.